Let's have some sweet crunchy jalebi today. In reality, it is very simple to make jalebi in minutes. 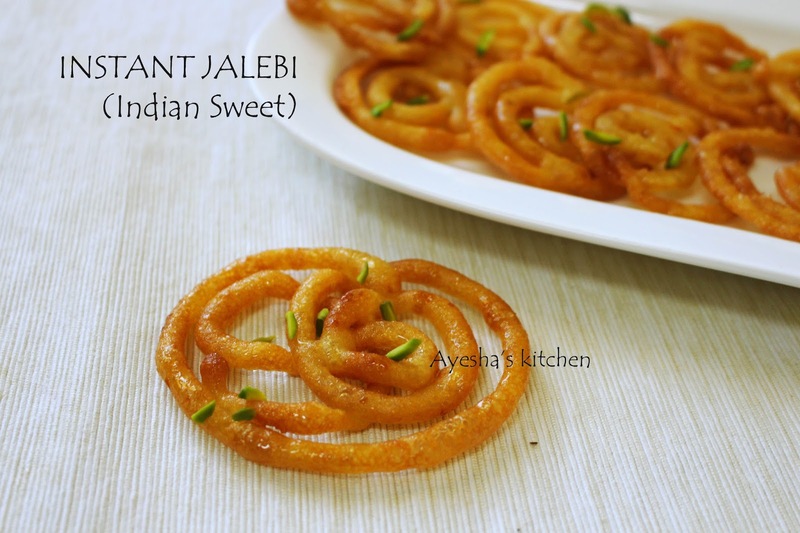 With No artificial colors, let's see how to make instant jalebis at home. Traditionally jalebis require fermentation process of 24 hours, but since this version of making jalebi is Instant it will take only minutes. Jalebis are known as celebration sweet in India, as people make and distribute jalebis during childbirth, weddings, victory and so on. Jalebi / Zulbia is a sweet popular in South Asia, West Asia, North Africa. It is made of deep frying the flour batter in circular shapes, which are then soaked in sugar syrup. They are particularly popular in South Asia on special occasions like weddings, Ramadan, parties. This sweet can be served warm or cold. It is consumed as a sweetmeat. There are basically 3 different ways to make jalebi..that are Jalebi with yeast, Jalebi with baking powder and baking soda, Jalebi with no yeast no baking powder no baking soda. 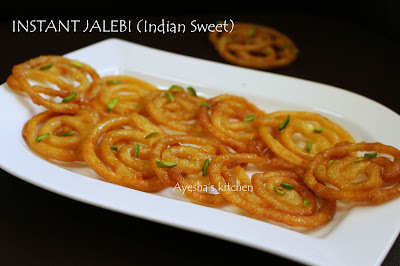 An another version of jalebi is Chanar / Chhena jalebi / paneer jalebi. In some parts of India, it is also known as jilebi / jilabi . The most noted part in jalebi making is its drawing or designing in hot oil. So if you are a starter in making jalebi, then make small jalebis in a non stick frying pan on medium flame. 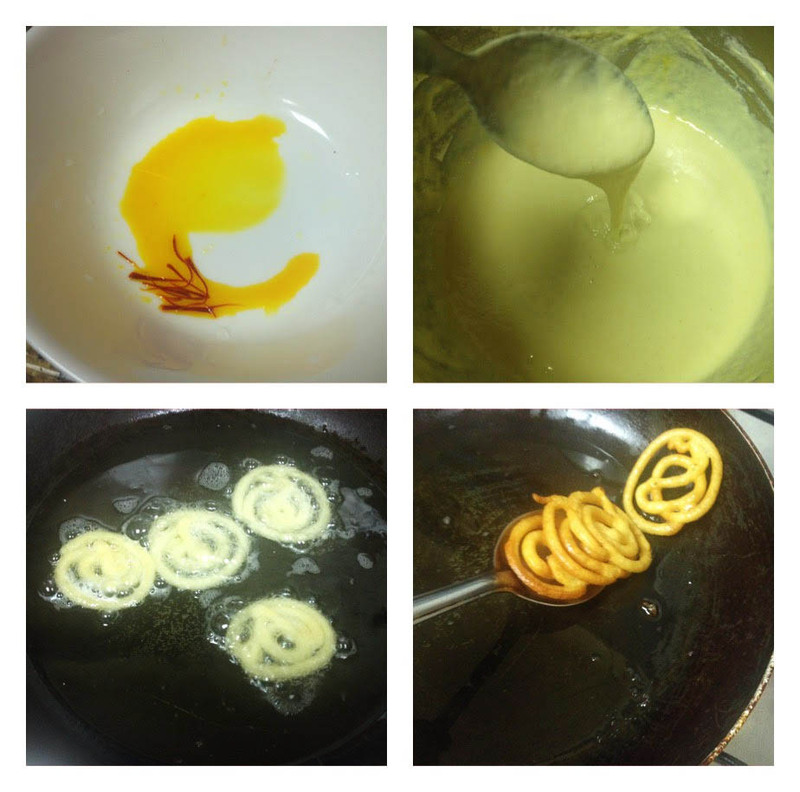 So let's see how to make Instant jalebi without any artificial color. Saffron - few strands for color only. If you are using artificial colors in batter, then no need of using saffron in syrup. Dilute the yeast in a quarter cup of warm water or milk. Mix well and let it stay for two minutes. The yeast needs to be diluted in water. Add saffron strands in curd for the yellowish texture. Now take a bowl and add all purpose flour, corn flour, gram flour and mix very well. To this, add curd and diluted yeast. Mix very well without any lumps. Now add a quarter cup of water( drop by drop only) to make this batter smooth. Be careful, do not add more. Keep mixing. Once you acquire the smooth consistency, add oil(1 tbsp) and mix well. The smooth batter is ready. Set aside this batter for 10 - 15 minutes. Meanwhile prepare the sugar syrup. Add water and sugar in a pan and mix well. Let it cook on a high flame for a minute and then reduce the flame to medium. Add lemon juice. Cook until u reach 1 string consistency. Around 10 minutes. Once you reach the one string consistency, turn off the flame. Let the sugar syrup on its way, heat a nonstick frying pan with oil on the other side for making jalebi. NOTE: Nonstick frying pan is better than deep bottomed nonstick pan or wok. And use tomato ketchup squeezing bottle for making spirals than icing bags to get the perfect shape. Design the batter only in medium hot oil for perfect jalebis. 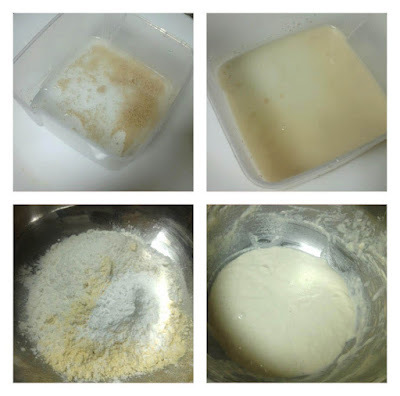 Transfer the batter to the squeezing bottle. Make the flame to medium-low. And now start making spirals with this batter. Make only a few jalebis at a time. Start the spiral design from outer to inner. Fry the jalebis by turning the sides slowly and then flip too. It will take 2-3 minutes to get crispy crunchy jalebis. Do not take until it becomes crispy on a medium flame. Dip the fried jalebis immediately in the hot sugar syrup (if not hot, heat the syrup for a minute). Dip each side and take out the jalebis after 30 seconds and transfer it to a serving plate. Never allow the fried jalebi to soak in sugar syrup for long. Make more jalebis the same way. Enjoy.